Carnival's Mega Ship Mardi Gras Breaks Record! Cruise News Carnival Cruise Line Carnival's Mega Ship Mardi Gras Breaks Record! Carnival’s Mega Ship Mardi Gras Breaks Record! Carnival Cruise Line’s mega cruise ship Mardi Gras has broken the opening day sales record. The ship which is arriving in 2020 is going to be one of the most anticipated new cruise ships ever! The cruise line opened up Mardi Gras bookings and the future Carnival cruise ship received a record-breaking response. 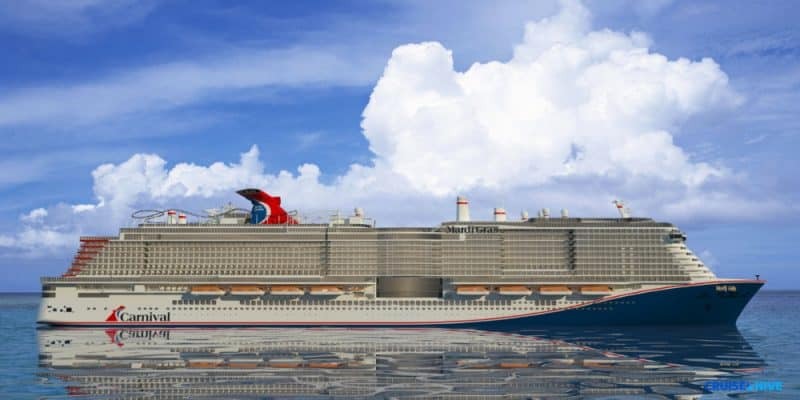 The 2020 inaugural itineraries were opened late on Tuesday evening and there were more sales than any other ship in the fleet, even more than Carnival Panorama which is arriving at the end of 2019. With Carnival being the largest cruise line in the world and one of the most popular it is likely but not confirmed that this could be record-breaking throughout the industry. Mardi Gras is a completely new class vessel and takes her name from the iconic 1972 Mardi Gras which was the first ever Carnival cruise ship. The mega cruise ship is currently under construction at the Meyer Turku shipyard in Finland. Just yesterday we posted about the itineraries of the ship with her first cruise out of Copenhagen Denmark on August 31, 2020. The ship will also be sailing a transatlantic voyage from Southampton, UK to New York on the U.S. east coast. She will end up at her year-round homeport of Port Canaveral, Florida sailing Caribbean cruises from October 2020. Read all about Mardi Gras itineraries right here. We’ve also recently been treated with new details about the much-anticipated ship. 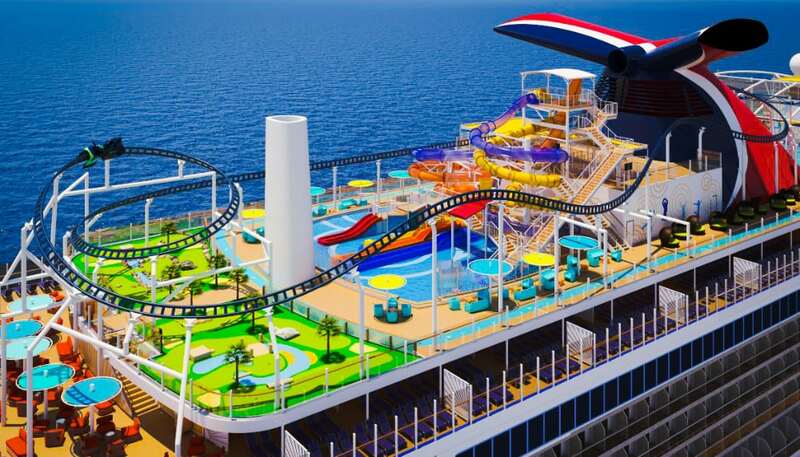 She will have six themed zones which will be Grand Central on decks 6-8 mid-ship, French Quarter on deck 6 aft, La Piazza on deck 8 mid-ship, Summer Landing on deck 8 aft, Lido on deck 16-17 aft and The Ultimate Playground on decks 18-20 aft. Oh yes, and did we say the ship will have the first roller coaster at sea! Once constructed is finished Mardi Gras will be the first ship in the fleet to be fully powered by Liquefied Natural Gas (LNG). She will also be the largest ever built for Carnival at a huge 180,000 gross tons and a guest capacity of 5,200 at lower birth. Keep following Cruise Hive for all the latest developments.